Amber waves of grain. Robust (6-row) barley growing in my garden. The golden ales I am going to describe have a delicious malt flavor that comes both from ingredient selection and how the grains are handled. These beers are not intensely malty, as with a Maibock or similar pale lager, but show a pleasing grainy malt character balanced with sufficient hop bitterness and flavor to avoid being insipid. Coupled with reasonably high attenuation from the yeast, this yields a crisp ale with a dry and hoppy aftertaste. To a large degree, the type of golden ale I describe is similar to the Catamount Gold of the late 1990s, and other good, balanced, malty/grainy light ales found in some brewpubs. All base malts share certain similarities. All are lightly kilned and taste, to some degree, lightly malty. However, there are also differences between the types of pale base malts and even between base malts made by different maltsters. For example, although similar, Durst Pilnser malt tastes different from Weyermann Pilsner malt. Since most of the malt character in a golden ale comes from the base malt, it pays to consider your base malt selection carefully. 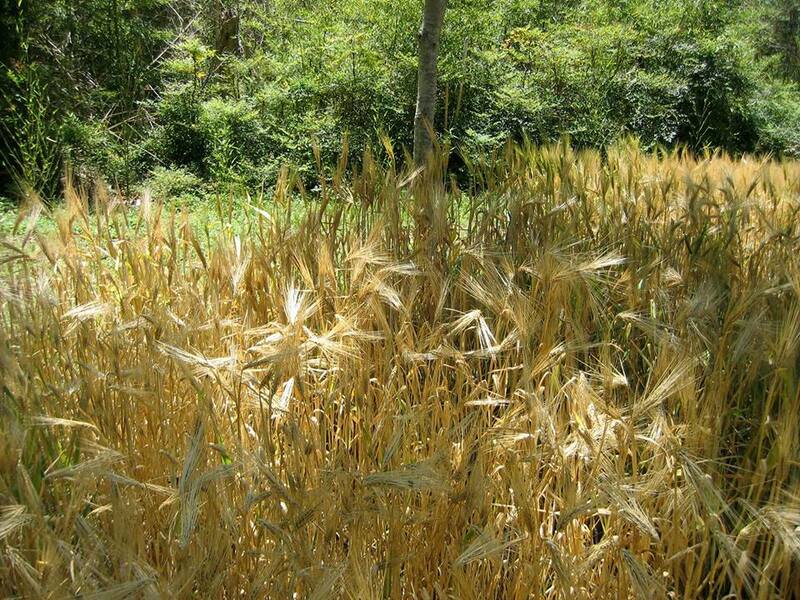 US 6-row malt is actually a great base malt for a gold ale. US 6-row is frequently described as lightly malty, with a grainy character. And it’s this grainy note that works well in a crisp golden ale. US 2-row is similar in flavor to US 6-row, although it shows less graininess. Either can be used for some or all of the base malt. 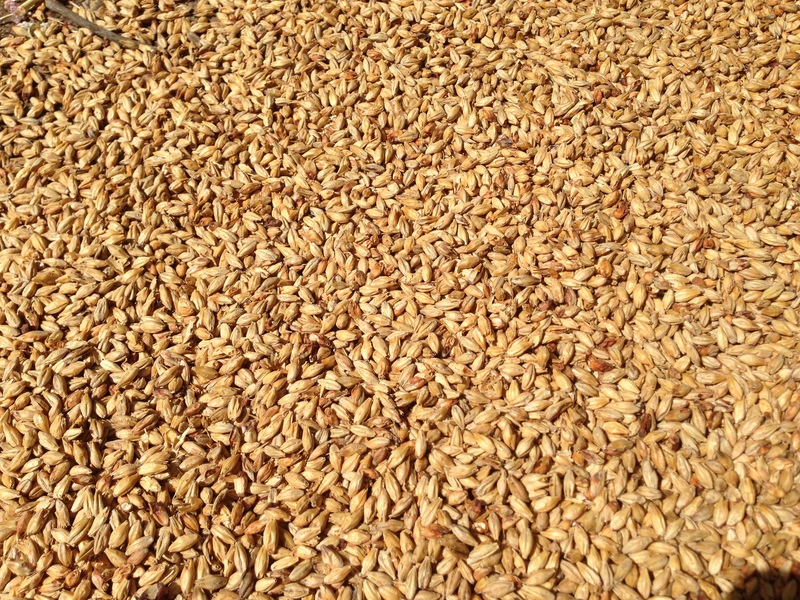 German Pilsner malt is usually described as having a sweet, malty flavor. And this is another great malt that can form some or all of the backbone of a golden ale. Use quality base malts because their flavor will be front and center. Munich malt and Vienna malt add a richly malty touch to any beer they are used in. Adding a small amount of these to the grist can round out your malt profile nicely. Keep additions of light Munich malt (10 °L) below 10% of the grist or Vienna malt additions below 15% of the grist, so their flavor doesn’t overshadow that of the base malt. A small amount of wheat malt, under 10%, can also add some bready notes to the beer. However, the high protein levels in wheat can contribute to haze, which is not wanted in this type of beer. The color of a golden ale is light and the malt character doesn’t knock you over the head with it’s intensity. As such, be careful with specialty malt additions. Keep their amounts low enough that their flavor and aroma is secondary to that of the base malt. You can either omit specialty malts altogether, or add a small amount (less than 5%) of a light-colored crystal malt (10–40 °L). A good grist for a golden ale will include one or more good quality base malts that occupy at least 95% of the grist, including the Munich and Vienna. Blending two or more of the lightest base malts is a good idea. 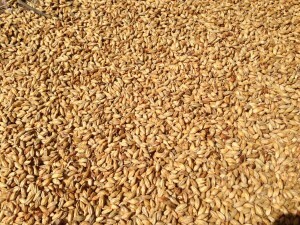 My favorite blend is roughly half US-6 row, about half as much German Pilsner and about half as much again Vienna malt. Add a maximum of 5% crystal malt (20 or 30 °L) to the mix and that’s it. Get all you can from your grain. To get the malty/grainy character for this type of golden ale, you need to get all you can from the malt. Crush as finely as you dare and collect as much wort as you possibly can without extracting excess tannins. Getting the most from the malts is one key to getting the right malt character. The grainy character comes from the husks of the malt and if you’ve sparged to the point that your wort ends up with a barely noticeable amount of astringency, you’ve done it right. If the astringency is pronounced enough to pick out easily and unpleasant, you’ve gone to far. Taste the final runnings as they exit your lauter tun and stop collecting wort when they get fairly astringent. Remember that they will be blended with all the wort you collected earlier, so you don’t need quit collecting wort the second you detect tannins. 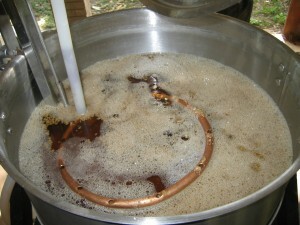 But don’t keep running wort to the kettle if it’s starting to taste like iced tea. If you’re blending 6-row with another base malt, look to see if the kernel size in noticeably different. Mill the malts separately if so. Mash to produce a beer with a moderately low amount of body. Around 150–152 °F (66–67 °C). You don’t want the beer to be bone dry, but you do want the yeast to attenuate the wort to the point that it tastes at least somewhat crisp. If you’ve used a fair amount of US 6-row or US 2-row, keep in mind that starch conversion can happen very quickly. These malts have a ton of diastatic power. If you’ve got a bunch of 6-row in your grist, an iodine test might show a negative result in as little as 5 minutes. If you do use the iodine test, you can start heating your mash for the mash out once you see a negative result (no starch). Mashing out and heating your sparge water such that your grain bed stays right around 168 °F (76 °C) will help you get all the malt flavor from your grain bed. If you follow all these directions — crush finely, keep your grain bed hot while lautering, and collect as much wort as you can before it becomes excessively tannic — you may end up with more wort than you planned or the wort may be at a higher specific gravity because your extract efficiency went up. If that’s the case, just scale your recipe up (add proportionally more hops) in the case of more volume or add some water to dilute your wort if it will be over your target OG by the end of the boil. In the next installment in this series, I’ll discuss tips for extract brewers. Beer and Wine Journal will return on Friday. An iodine test only indicates there’s no starch, but doesn’t say anything about the fermentability of the wort. Don’t you want to keep mashing to let those beta amylases and limit dextrinases do their thing? Oh, and Happy Thanksgiving.